I made the official announcement yesterday on my Instagram, but I also wanted to share the information with you. 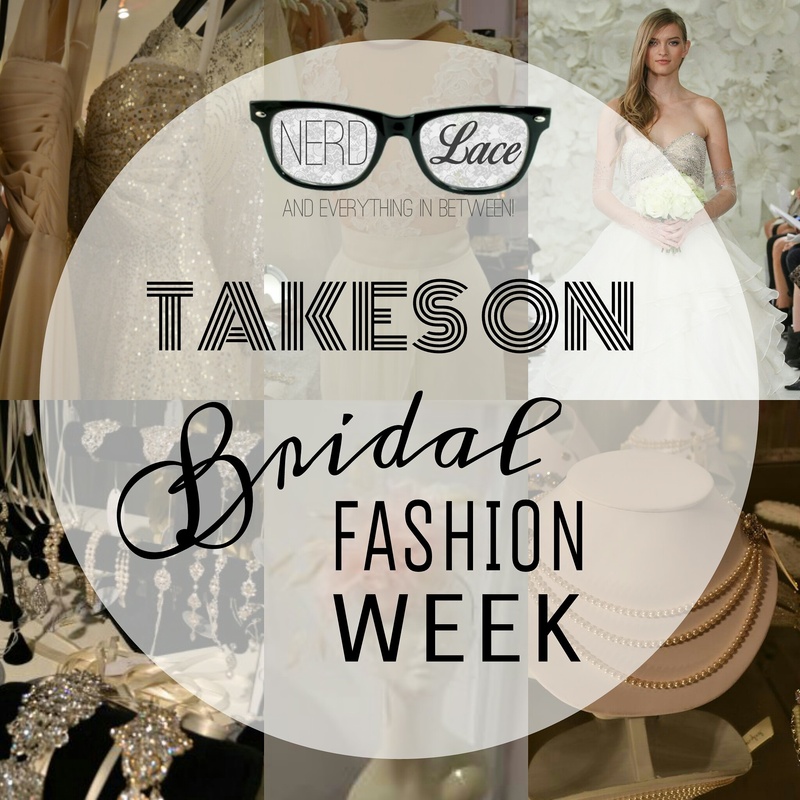 Nerd & Lace takes on Bridal Fashion Week! It’s been a done deal for a while, but I wanted to make an official announcement. As an independent Blogger, I’ve covered this event for a few years now. In that time, this silly blog has evolved to be something that I am very proud of. As of this moment I have two extremely smart women that have joined me in this venture. Thank you so much Ange and Glory for saying yes. It’s going to be an amazing honor to present myself at this April Bridal Fashion week as the Editor of Nerd & Lace. I’m so beyond excited! Thank you to all the brands that have previously embraced my love and enthusiasm for Weddings and its fashion. My Nerdy Mermaid heart thanks you! I’ve have the pleasure of meeting remarkable people at this event and looking forward to meeting more!